Brahms: Symphony No.2; Alto Rhapsody etc. 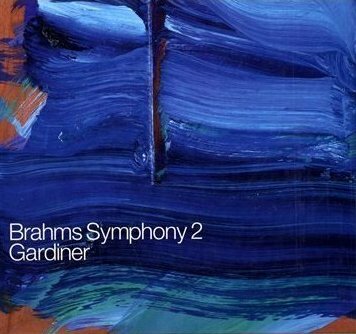 John Eliot Gardiner's revelatory Brahms cycle moves onto the Second Symphony with this latest release. With couplings designed to show each of the main works (the four symphonies as well as the German Requiem) in a broader context, each disc in the series also represents a fascinating programme in its own right. Here, then, alongside the symphony Gardiner includes Brahms's Alto Rhapsody with some Schubert: his extraordinary 'Gesang der Geister über den Wassern' D.714 as well as Brahms's own rip-roaring arrangements of 'Gruppe aus dem Tartarus' D.583 and 'An Schwager Kronos' D.369. We start with the Alto Rhapsody and are presented with an orchestral sound that is direct and forbidding. The stern opening bars are given an extra rawness with timbre of the 'Viennese-style mid-nineteenth-century woodwind' and Brahms's own favourite Waldhörner, just part of the array of instruments Gardiner proudly credits his orchestra with 'ferreting out' in his booklet interview. Nathalie Stutzmann's rich, creamy contralto captures just the right balance of consoling warmth and despair, particularly when she pares down the vibrato to leave an almost ghostly, pale sound. When at 'ist auf deinem Psalter…' she is joined by the men of The Monteverdi Choir, the effect is as magical as I've heard, rounding off a hauntingly beautiful perfomance. Schubert's 1821 setting of Goethe's 'Gesang der Geister über den Wassern' for male chorus, two violas, two cellos and double bass has to number among his more unusual works. However, it was a poem that he set several times and its spiritual content – typically for Goethe placing man within a mystical reading of nature rather than within any sort of religious framework – inspires the composer to some exquisite writing, exploiting and exploring the textural possibilities of the unusual combination with astonishing freedom. Again, the men of the Monteverdi Choir are in good voice, responsive and clear with the text. If anything, they're even finer in the two songs that follow. Both make a lot of sense being sung by chorus and are transformed into irresistible, high-spirited romps. The passionate cry of 'Ewigkeit' in 'Gruppe aus dem Tartarus' gains immeasurably in its power, while it's difficult not to get swept along with the momentum and camaraderie of 'An Schwager Kronos', particular as the fanfares are introduced at 'Töne, Schwager, ins Horn'. Gardiner's way with the symphony itself is very much along the lines of the approach he outlines himself in the booklet, where he talks of 'that elusive "expansive elasticity"', and ridding the works of 'a false antique patina'. As such, the opening Allegro non troppo might strike one as rather relaxed, at first. However, Gardiner's elasticity makes for a fluid pulse that keeps drama and passion in reserve, unleashing it when necessary. This he does, for example, in the development section, which starts at a leisurely pace but builds into a series of powerful climaxes. The result is lyrical and invigorating; he indeed succeeds in making one hear the symphony afresh but manages to do so without any obvious-sounding attempt to do so. Of course, matters are helped by the unveneered sound of the Orchestre Révolutionnaire et Romantique. They can produce a warm, romantic sound when required but not constantly so. Textures, then, are light and airy, and the gentle sound of the woodwind and the ever-so-slightly rugged horns are a constant source of pleasure; no less so the sparing use of vibrato and the occasional delicious portamento in the strings. One might expect, in the tradition of 'period' performance, Gardiner to push hard in some movements, in the Allegro con spirito perhaps, yet while it's an invigorating ride, it never sounds hard-pushed. In fact, the whole performance is informed by a rare musical wisdom, and tempos are judged and moderated unerringly. Authenticity remains an obstinately chimerical and claims and counterclaims could be made for Gardiner's approach. What is beyond doubt, though, is that his Brahms replaces routine monumentality with warmth, humanity and vitality. As such, it is self-recommending.